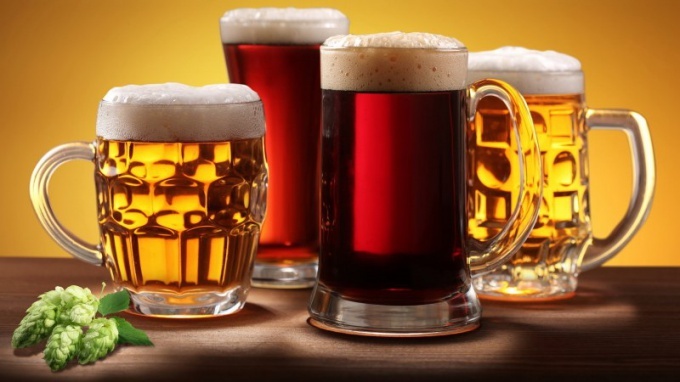 Specific smell of beer breath can be eliminated using a variety of proven popular recipes. Note that you will not bring these ways of alcohol from the body, but only freshen your breath. One of the simplest methods of eliminating the unpleasant smellof alcohol and cleaning the teeth. This method will perfectly work if you didn't drink too much beer. For this you need a mint toothpaste and brush. After brushing, rinse your mouth with a disinfectant balm, which can be purchased at the pharmacy. This remedy not only cleans teeth, but also effectively removes unpleasant smellI. If you had watermelon, strawberries, grapes or any other berries (fruit), chew them for several minutes. With their fragrance they will kill the smell of beer. Berries (fruits) can be replaced with a fresh sprig of mint or parsley. The broth on the basis of chamomile (pharmacy) at least effectively removes the peculiar smell of beer. To make it, pour 1 Cup boiling water 2 tablespoons herb. Cover the container with a tight lid. After 30-40 minutes, strain the infusion. Received means rinse your mouth every 10-15 minutes for hours. To eliminate unpleasant smelland can also be used infusion-based mint. For its preparation the grass (2 tablespoons), pour 1 liter of boiling water. After 40-60 minutes, the broth strain. Rinse your mouth for 1 hour every 10-15 minutes. Similar infusions you can also make using oak bark or grass of Artemisia. These components are sold in specialty stores or pharmacies (dry). To remove the smell of beer using the fresh lemon juice. To do this, dissolve 2 tablespoons of fresh juice 1/2 Cup warm water and add 1-2 drops of vinegar. With this mixture rinse your mouth for 3-5 minutes. Remember: this solution is in any case can't swallow! Drink strong tea or chew a few grains of organic coffee. It will kill the smell of beer and freshen your breath.